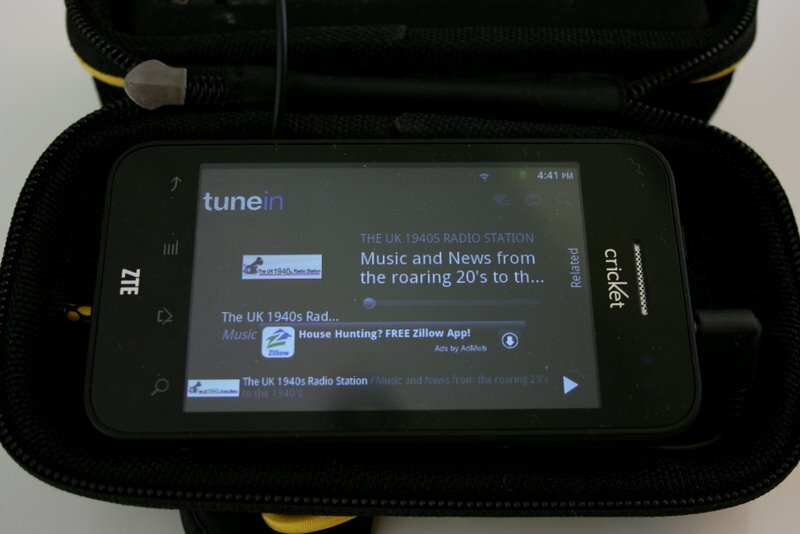 In our two-part series on Internet radio–Rethinking Internet Radio Part 1 and Part 2–we pointed out a very affordable and effective option for listening to internet radio: the Cricket Muve ZTE Score no-contract Android phone combined with the TuneIn radio app. Immediately after posting the article, the price of the Cricket phone increased to $79.99. For those of you who have been waiting for the price to drop again, you’re in luck. They are available at many BestBuy locations for $39.99–an excellent price. It appears this promotion is good through May 5th. Click here for details. Read our review of the Cricket Muve ZTE Score as a wi-fi radio here. This entry was posted in Articles, Updates and tagged Cheap Wi-Fi Radio, Cricket Muve ZTE Score, Cricket Muve ZTE Score Internet Radio, Cricket Muve ZTE Score Review, Cricket Muve ZTE Score Web Radio, Internet Radio, Web Radio on April 29, 2012 by Thomas. At the SWLfest this year, I attended a forum about web/Internet radio that had a significant influence on my thinking about the subject, and which I discuss in Part One of this post. In short, I decided that I wanted to take a considerable plunge into web radio and get to know the medium a little better. But I needed to do it on the cheap! Fortunately, serendipity stepped in to assist my cause: Last week, I saw a post on the Herculodge about a no-contract, Android smart phone called the Cricket Muve ZTE Score. Best part? It was (then) on sale for only $29.99 and I could pick it up at my local Best Buy retail store. 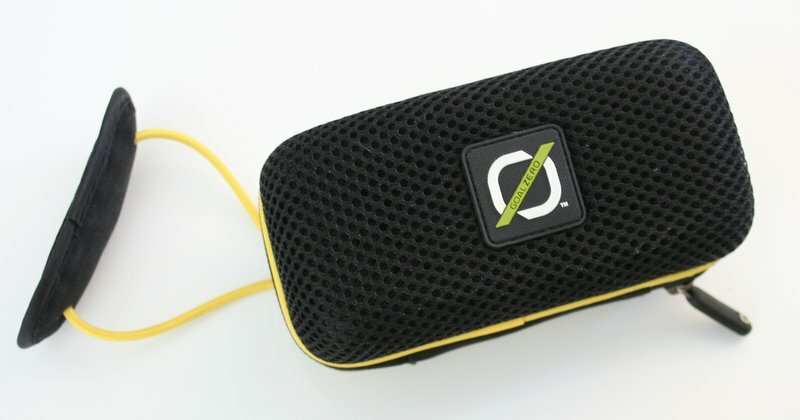 Teamed up with my Goal Zero portable amplified speaker, I knew this would be a great, portable wi-fi radio to use around the house, office, and on the road. Needless to say, I jumped onboard! I have an Android phone now (the Droid 3) and have the TuneIn app on it that I mention in the previous post. But, frankly, I don’t like using it to stream radio. First, it kills the battery in no time flat, and secondly, it’s a phone, so when someone calls, I have to unplug it from speakers to talk. Call me old fashioned, but I prefer a dedicated internet radio, if I’m going to have one. After unpacking the Cricket Muve ZTE Score, I was pretty impressed with the included kit. It has internal memory and, by means of a (4GB) micro SD card, expandable memory, too. It also comes with a charger and is packaged very securely. What surprised me most, however, was the fact that no hacking was required to use this phone as a mobile device without, of course, signing up for the Cricket pay-as-you-go account! In fact, I turned it on for the first time, found my wi-fi network, entered the password, and was online within a minute. I really expected to face annoying prompts or something similar to prevent me from using this phone without service. What a surprise…! I then installed the TuneIn app (see previous post) via the pre-loaded Android app store (now called Google Play). Within seconds, I had access to TuneIn’s extensive and well-organized directory of radio stations from around the world. Readers, take note: This was so easy! Coupled with my portable, capable little Goal Zero amplified speaker, I now have a portable and completely wireless web radio. I should mention that the Goal Zero speaker, like the phone, can be charged and operate without being plugged into an outlet. I found that the phone would stream radio quite easily for 4-5 hours without being recharged. The Goal Zero speaker will run on a fully charged internal battery in excess of 10 hours. 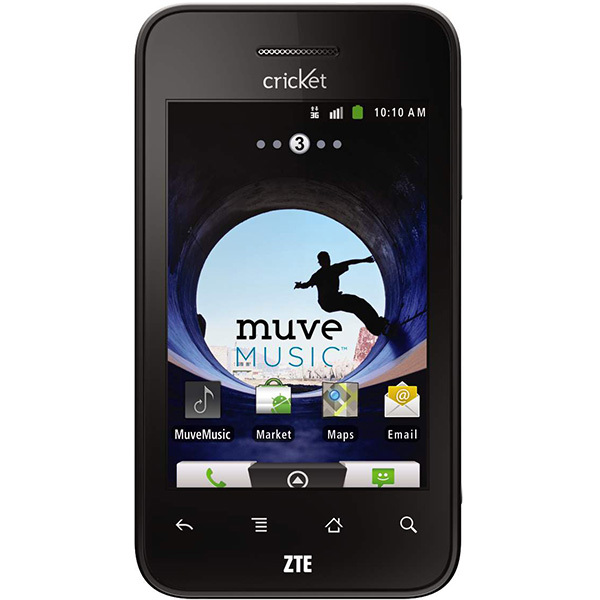 But back to the Cricket Muve ZTE Score. Since this is an Android phone, it’s basically a phone and handheld computer. It takes photos via the built-in camera, will take movies, and has a built-in GPS. I have not tested other apps on it, but in theory, you could use most any of the thousands of applications available in Google Play. Negatives? Well, don’t get me wrong, this is a very inexpensive phone. As such, it doesn’t have the smooth feel of my Droid 3’s screen and feels lightweight, cheap and “plasticky,” if that’s a word. Longevity is in question. Still, for just $32 with tax, it was excellent value and a no-brainer to put it into service supporting my favorite medium. Since last weekend, I noticed that the price has increased to $69.99. I still think it’s a good deal at that price. If you’ve used other no-contract Android phones, or know of other ways to achieve a dedicated web radio on the cheap, please comment with details. Thanks! This entry was posted in Articles, Radios, Reviews, Shortwave Radio and tagged Cheap Wi-Fi Radio, Cricket Muve ZTE Score, Cricket Muve ZTE Score Internet Radio, Cricket Muve ZTE Score Review, Cricket Muve ZTE Score Web Radio, Internet Radio, Web Radio on March 26, 2012 by Thomas.